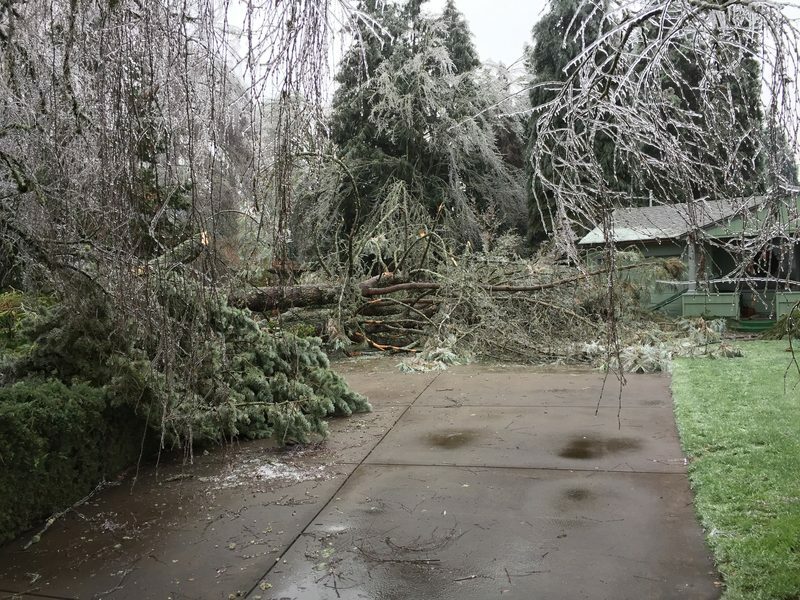 This ice-covered tree fell in a yard just a few doors down from my house. It severed the power drop to the house, and knocked the rain gutter off the front of the garage. Fortunately the house did not suffer major damage.